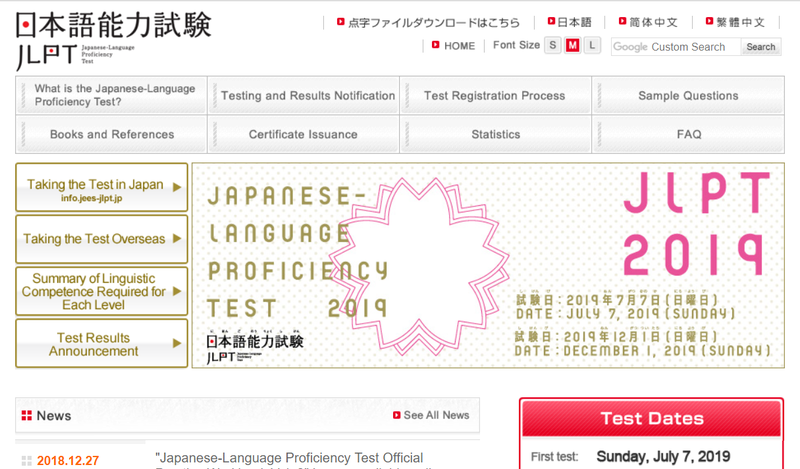 If you’re thinking to advance your career in Japan, or to widen the scope of the jobs available to you, you might want to try taking the JLPT or Japanese Language Proficiency Test. In a nutshell, the JLPT is a standardized test to check the Japanese ability levels of non-native Japanese people. For many companies who wish to hire foreign employees, some level of the language may be required. The test is always held twice a year, in July and December, and you may register to take any of the levels from the most beginner (N5) to the most advanced (N1). This year, the first one will be held on July 7, Sunday. If you’ve never taken the test before, and want to take it this year, make sure to create a MyJLPT account here: http://info.jees-jlpt.jp/acquisition/# before you register for the test. But make sure you hurry! The deadline for registering to take the test is on April 22, Monday. If you miss this one, the next time you’ll be able to take it is in December! The JLPT is a great opportunity to increase your career possibilities in Japan, so why don’t you give it a shot?